Love this composition! Wishing you a good return to school. i agree with above...pretty composition. the mix of polishes are really nice! 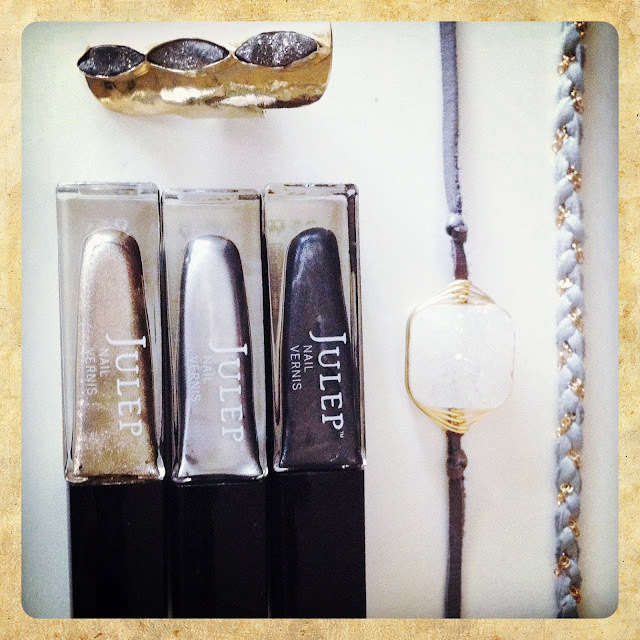 I love metals too and am looking for some to incorporate this fall! Great stuff! Good luck with school tomorrow! I just recently discovered Julep! OMG it is the best!